CHICAGO (WLS) -- If Donald Trump loses the election it will be because of women, according to FiveThirtyEight's Nate Silver. 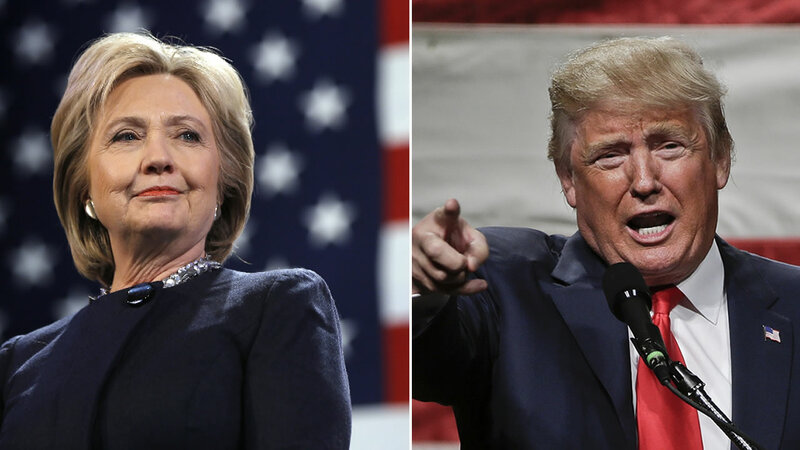 While analyzing a series of national polls released Tuesday showing Hillary Clinton leading Donald Trump by between five and 11 points, Silver came across a demographic split in a Public Religion Research Institute poll conducted for The Atlantic which showed a huge gender split. The poll showed Trump leading Clinton by 11 points among men, but Clinton leading Trump by 33 points among women nationwide. "To put those numbers in perspective, that's saying Trump would defeat Clinton among men by a margin similar to Dwight D. Eisenhower's landslide victory over Adlai Stevenson in 1952, while Clinton would defeat Trump among women by a margin similar to... actually, there's no good comparison since no candidate has won an election by more than 26 percentage points since the popular vote became a widespread means of voting in 1824. To get to 33 points, you'd have to take the Eisenhower-Stevenson margin and add Lyndon B. Johnson's 23-point win over Barry Goldwater in 1964 on top of it," Silver wrote. 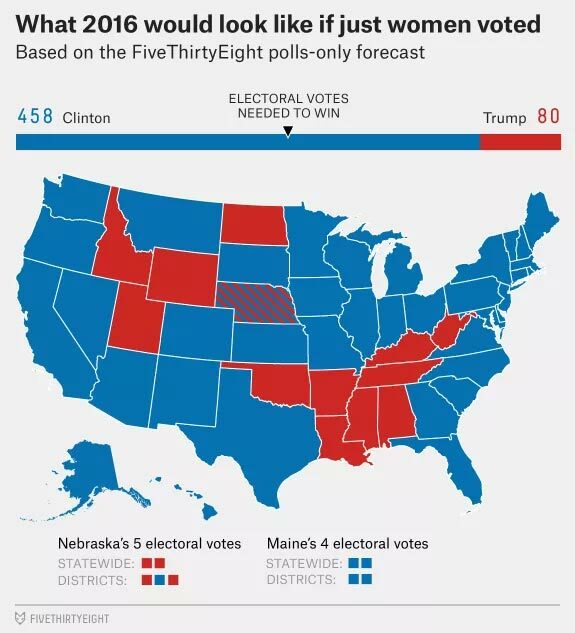 Using the numbers in FiveThirtyEight's polls-only election forecast, Silver drew up two electoral maps to demonstrate what the election would look like if only one gender was voting. He used an average from polls released in October showing Clinton doing 10 points better among women than the general electorate, adding 10 points to each state for the women-only map and subtracting 10 points for the men-only map. The results are stark, not just for the massive difference between the two maps but because of one thing that remains the same: whether 10 points are added or subtracted, Illinois is the only Midwestern state where neither gender would elect Trump.